This is my load for today. Broccoli. Brocs for short. I had to steam this add a very little salt to taste. Many dont love eating this kind of vegetables because of its taste. Broccoli provides a high amount of vitamin C, which aids iron absorption in the body, prevents the development of cataracts, and also eases the symptoms of the common cold. 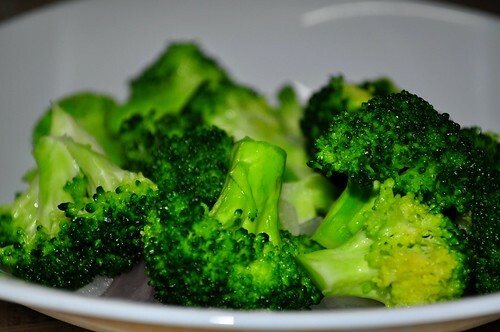 The folic acid in broccoli helps women sustain normal tissue growth and is often used as a supplement when taking birth control pills and during pregnancies. The potassium in broccoli aids those battling high blood pressure, while a large amount of calcium helps combat osteoporosis. The vegetable is also fiber-rich, which enhances the gastrointestinal (GI) tract, as well as aims to reduce blood cholesterol levels. In recent years, broccoli has made the headlines regarding three components found in the vegetable. For instance, indole-3-carbinol has captured the attention of those looking to prevent hormone-related cancers, such as breast- and prostate cancer. I3C promotes "good" hormones, while working against destructive ones. The sulforaphane in broccoli also helps to increase the level of enzymes that block cancer, while the beta-carotene in broccoli transforms into vitamin A within the body, providing an effective antioxidant that destroys free radicals (responsible for weakening the defense of cells). Additionally, the health benefits of broccoli have been linked to preventing and controlling the following medical concerns: Alzheimer's disease, diabetes, calcium deficiencies, stomach and colon cancer, malignant tumors, lung cancer, heart disease, arthritis, and even the aging process.